Customize your garage door opener system with our extensive selection of innovative accessories designed to bring you added safety, security and convenience. 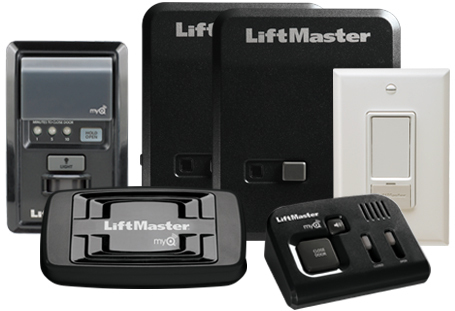 R&S offers a wide variety of parts and accessories from both LiftMaster® and R&S Advantage®.Contact us today for more details on adding convenience to your homes garage door opener system. Monitor and control your home from anywhere, at anytime. 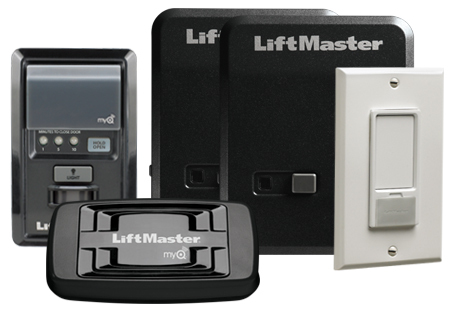 LiftMaster® MyQ®-Enabled Accessories offer intelligent communication that allows you to access, activate and monitor for greater control and security of your home. Imagine being able to open your garage door for your neighbor or a friend – even if you’re on a business trip away from home. You can by tapping into the LiftMaster® Internet Gateway by using your smartphone or computer. Connect your garage door opener, gate operator and MyQ®-enabled accessories to the Internet, enabling smartphone control. Monitor and close up to four garage doors or gates from any room inside your house. 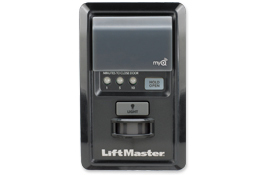 Compatible with MyQ®-enabled garage door opener or MyQ® Control Panel (Model 888LM). Plug in any lamp inside your house to this device and control it with your smartphone or garage door opener remote control. Requires LiftMaster® Internet Gateway for smartphone control. 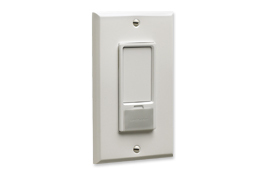 Replaces your existing wall switch to allow you to control home lighting with your smartphone or garage door opener remote control. 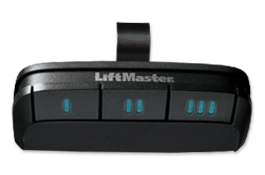 Requires the LiftMaster® Internet Gateway for smartphone control. 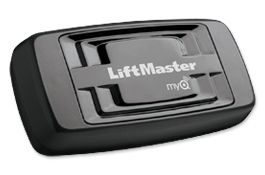 Upgrade your LiftMaster® garage door opener manufactured since 1998 to the new MyQ® and Security+ 2.0™ radio systems so you can control your garage door with your smartphone or computer. 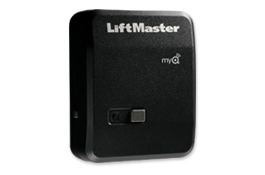 The MyQ® Package includes (1) LiftMaster® Internet Gateway and (1) MyQ® Control Panel. Upgrades your LiftMaster Security+® garage door opener (manufactured after 1998) to enable you to control your garage door opener, gate operator, and home lights using your smartphone or computer. Each garage door requires its own MyQ® Control Panel. Control home lighting with your smartphone or garage door opener remote control. 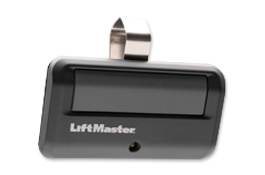 Requires the LiftMaster® Internet Gateway for smartphone control. Includes (2) Remote Light Control, (2) Remote Light Switch. 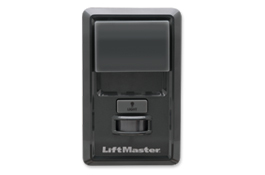 Monitor and control your LiftMaster® opener (manufactured after 1998) and home lighting with your smartphone. 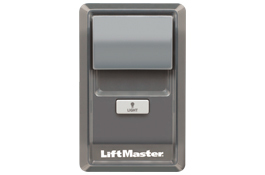 Includes (1) MyQ® Control Panel, (1) LiftMaster® Internet Gateway, (2) Remote Light Control, (1) Remote Light Switch. A complete retrofit solution! 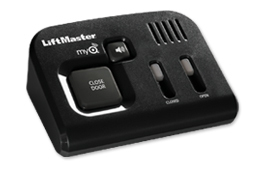 Have smartphone control of your LiftMaster® opener and home lighting. Plus, monitor and control from any room in your home without a phone. Includes MyQ® Control Panel, Internet Gateway, Garage and Gate Monitor, Remote Light Switch, 2 Remote Light Controls. 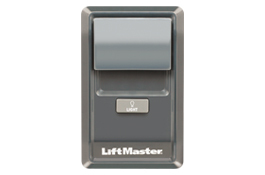 LiftMaster® Wireless Keyless Entry Systems can open your garage door using a code that you program directly into the unit. This gives you or your kids access to your garage and home without the use of a key or remote control. Get convenience on the go. 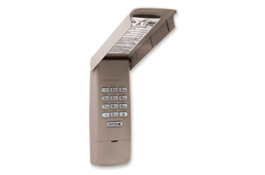 This wireless keyless entry system lets you open or close your garage door without using a remote control or key. 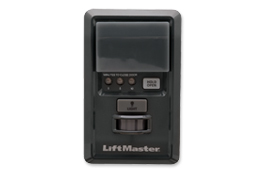 Plus, it works with all LiftMaster® garage door openers manufactured since 1993. 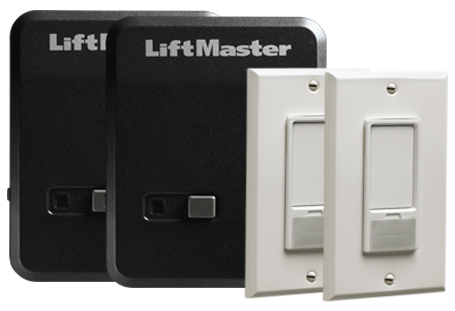 LiftMaster® Control Panels can open two or three garage doors, turn your lights on when you enter a dark garage, or even display the inside garage temperature and important system status messages (models 398LM and 880LM only). Lights the way automatically. This motion-detecting control panel turns on the opener lights automatically as soon as you walk in, and is equipped with the Timer-to-Close feature. Add simple control where you need it, without taking up too much space. The Door Control Button can open and close the garage door and control opener lights. It also makes it easy to program remote controls and MyQ® enabled accessories. Put more control right where you need it. This wireless control panel can be installed almost anywhere in the garage. 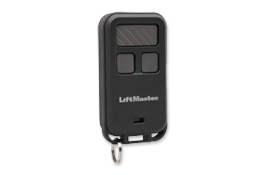 It controls one garage door opener and its lights with a large pushbutton. Take garage door control to a whole new level with this wall control panel. It displays time, inside garage temperature, and important system status messages, making it easier to maintain your system. Push the right button the first time around. This remote control includes bright blue LED buttons for easy night operation. The key to everything is universal. This remote control gives you the power to operate two different garage door opener manufacturers and/or frequencies at the same time, so it’s like having two remote controls in one! Compatibility meets technology and performance. Our Universal Remote Control is designed to work with a variety of garage door opener brands, giving you convenient, secure access to your garage and home. 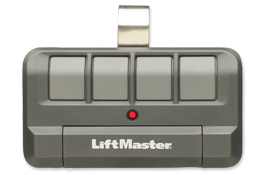 LiftMaster® Multi-function Remote Controls can open up to four garage doors from greater distances with the reassurance of Security+® rolling code technology. 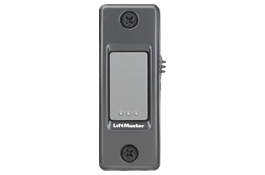 This powerful multi-door control can operate 3 garage door openers or gate operators, or MyQ® enabled light accessories. 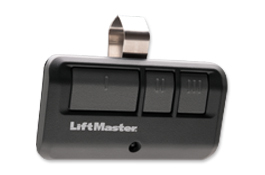 Plus, it’s compatible with all LiftMaster® garage door openers manufactured since 1993. 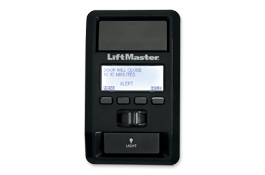 This powerful door control can operate a single garage door opener or gate operator, or MyQ® enabled light accessory. The ideal remote control for gated communities. One button can open a gate operator and the other can open a garage door opener. It can also be programmed to different codes and frequencies. The ideal remote control for gated communities. One button can open a gate operator and the others can open a garage door opener. It can also be programmed to different codes and frequencies. These miniature versions of our 3-button multi-function remote controls are just as powerful. And they’re small enough to fit in your purse, in your pocket, or on your keychain. Car keys? Check. Garage door opener remote? Check. If you’re always on the go, this mini remote control will go right with you. It fits on a keychain, or right in your purse or pocket, and can operate 3 garage door openers or gate operators, or MyQ® enabled light accessories. 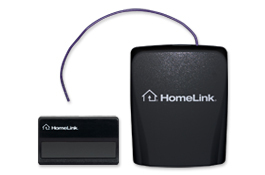 In the rare case that you are unable to program a HomeLink® system to a new Security+ 2.0™ garage door opener, a HomeLink® Repeater Kit may help. 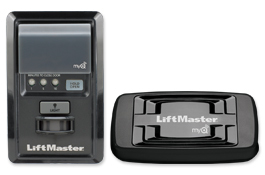 In the rare case that you are having trouble synching your HomeLink system to a new LiftMaster® garage door opener, our HomeLink® Repeater Kit may help. R&S also carry’s replacement parts for all brands of garage door openers for the do-it-yourselfer. Our warehouse is fully stocked with gear kits, capacitors, carriages, safety sensors, circuit boards, remotes, keypads and much more. We stock parts for Chamberlain, Liftmaster, Genie, Marantec, R&S Advantage, Sears Craftsman, and many others. Please contact us today for any of your garage door opener part needs.